While speaking at the 59th Commonwealth Parliamentary Conference being held at Johannesburg in South Africa today, Himachal Pradesh Legislative Assembly Speaker Brij Bihari Lal Butail moved the discussion on ‘Land Access and Ownership: Progress and Challenges experienced by Rural Communities in Assessing Land. What would be the Role and Intervention of Parliamentarians? and while adding his views on the subject, he said that land was an economic resource and an important factor in the formation of individual & collective identity and in the day to day organization of social, cultural and religious life. Butail said that an issue of land access and ownership was at the heart of all rural societies and agricultural economies. Of late both had assumed great concern all over the world, when population, growth, high food prices, the impact of climate change, trade regimes, global consumer and corporate –driven food system and growing demand for agro fuel and feed were causing fierce competition for land assess and very high pressure on its ownership, he added. The Speaker said that land access and ownership affect the everyday choices and prospects of rural community. It further influences decision on the nature of crop grown whether for subsistence or commercial purpose, he added. He said that it further influences the extent to which farmers were prepared to invest in improvements in production, sustainable management and adoption of new technologies and promises innovations. He said that success of future endeavour to promote new agricultural technologies for climate change mitigation or adaptation was also predicated by the ownership of land. Butail said that various studies suggest that economic growth tend to be higher and more broadly shared when people had equitable and secure access to land. He said that World Bank analysis of land policies in 73 countries between 1960-2000, shows that countries with more equitable initial land distribution achieved growth two to three times higher than those where land distribution was less equitable, he added. He said that there was also evidence that a more equal distribution of land leads subsequently to faster growth and rapid growth increase the likelihood that a redistributive land access would help to reduce the rural and even urban poverty adding that annually 5-10 million hectares of agriculture land were being lost globally. He said that growing rural population result in expansion of cultivated area, encroachment into forest wetlands and few remaining natural habitats, but also in increasing landlessness and smaller farm size. The Speaker said that the Parliament, being the highest decision making body can play a pivotal role in bringing necessary legislations, giving sanction to the budgetary demands, laws and programmes and also exercising necessary oversight. He said that as members of different Parliamentary Committees, they get the opportunity to exchange views and ideas among themselves and also monitor and evaluate the work done by the Government. Through the Departmental Related Standing Committees, in particular, the members come in direct contact with the administration dealing with various issues and strive to ensure that the law passed by the Parliament was implemented accordingly, he added. Butail said that land and its management in India falls within the exclusive legislative and administrative jurisdiction to the respective States. 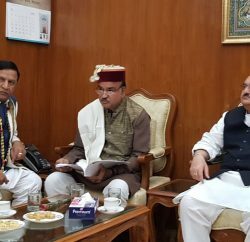 He said that the Himachal Pradesh Government had introduced many innovative land reforms and land development programmes for effective use of available land. The State Government had also effectively used modern technology in day to day land administration and in providing hassle free land services to the people, he added. Secretary General, CPA, Dr. W.F. Shija and Secretary General, Commonwealth Parliamentary Conference, H.E. 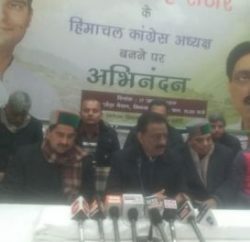 Kamlesh Sharma also addressed the session.